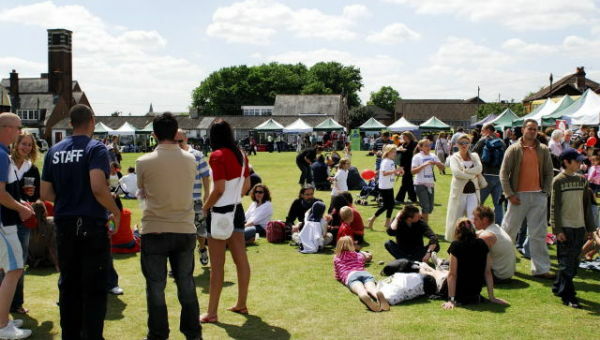 Huge Community Free Festival held on The Field in 2009. 6000 local people turned up for a single day when The 8 acre Field was unlocked for a day for public access. St Marks School seen in the background. © Copyright Cevn Vibert and licensed for reuse under this Creative Commons Licence.